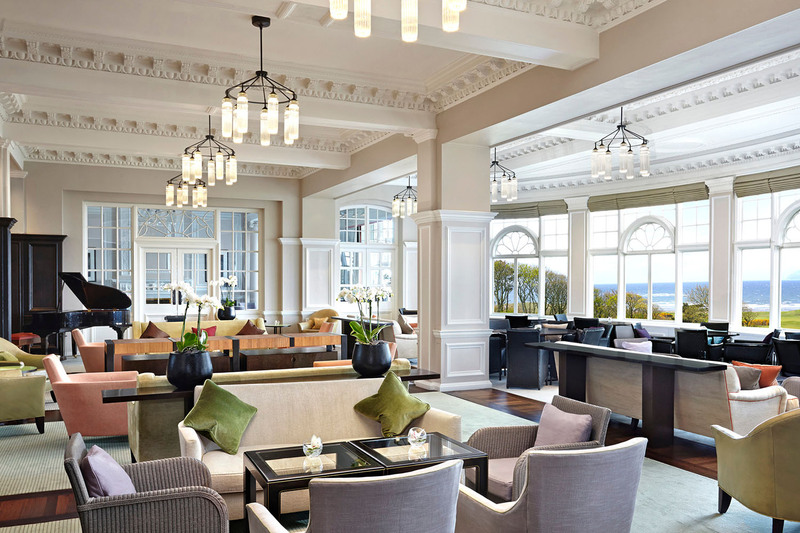 The chandeliers were developed for Fox Linton Associates' award winning renovation of the Turnberry Resort. Over 30 of the chandeliers were used throughout the ground floor of the property. MaterialsPowdercoated mild-steel frame and borosilicate glass diffusers.